What is successful on Citizenship in state developed for Globalization ? Right join ID's citizen's and connect for project's on development global business infrastructure. Gratis Factories and Business Companies designed directly for Your profession and life interest. Rentier Payment for Families, for every one of their new child (Family life consumption and Investment property growth, education, career development, life style). Civilization which is developed only according purpose of most best and high tech technologies, coordinate on system ''Economy of Every One''. Right for join National Democracy together in every process of Parliament and cooperate with Senate, develop a law of Your country. Country developed for Citizens, and Government only centralize development under Citizen's proclaimed and public interest's. Right for stand united for Federalization of every one state in the world ! The One World. Right for free medical care, transportation, studium, life sources consumption and home. Right for Diplomatic career and together grow Global Diplomacy connection between all states. Right to life in country of freedom and liberal rule, no capital slavery of people. Minmal taxes for business active subject's and people. State without conservatism, only development of the globalization, much advanced legal and civilized opportunties. Care on Ecology and Health Environment. Security and stabile control of all activity in state, prevention agains't any crime agains't You, Your Fsamily and Partner's or Properties. Education level developed only for best qualities in the world. Right for Never Death ! Medical progress which can renovate all kind's of health and prevent old age or death, long life unlimited. Cooperation on development of New Civilization's in Universe and expand Your own properties. Many, many many more ! Join us, and also expand Your development ! Dual citizen is legally registered as a permanent citizen of the Imperium of Diamonds. As a recognized King of the land, as "Royal recognition". 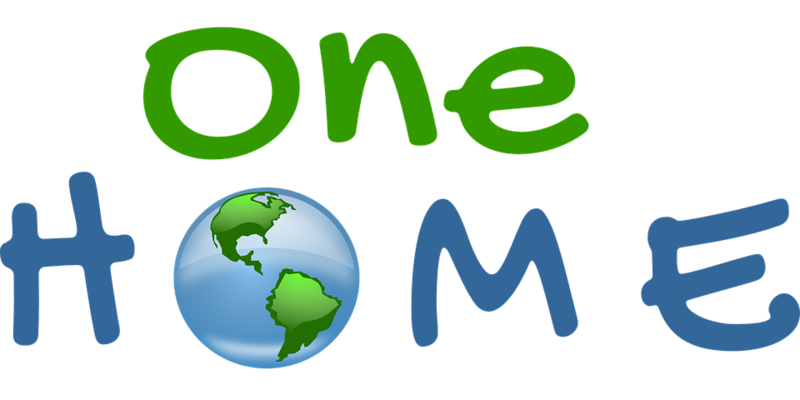 As recognizing a common ideology Unified World as "One World". As citizen of Federal state, such as " Federal"
As a child, born on the territory as "jus soli". As a descendant of a family member permanent citizen as "jus sanguinis". As an adopted descendant as "jus adoption". As in partnership, marriage, such as "Matrimonio jure". Five years as an active lifestyle and using the state as "jus naturalization". As a member of Noblese families, such as " Noble Genuse"
As a form of state that recognizes same faith as "jus Religion". As the person in educational law, such as "Student". As an active and steady business as "jure investment". As an official government executive, as "jus officio"
As the holder of the passport of an International character, such as "Global Citizen". As a person with the right to citizenship of an International agreement, such as "multilateral". As a person with the right to citizenship of a global agreement as "unilateral". As an active soldier, and a soldier in training as "member of the military". As a citizen of a failed state or country in a disaster, such as "jus humanities". As a person without citizenship, such as "stateleness". As an applicant for health care, such as "health care". As an aplicant for security proction, such as " protection". As an acknowledged responsibility of crime, such as "claimed Prisoner". As a member of the colony and staff, such as "ID's Colony"
As a person with their own applications, such as the "applicant". As an individual member of a special mission as a "specialist". Member state as a Dual Citizen loses the right for the active power level of Parliament, or other right of any major executive political position of the government of Diamond's Imperium. Member state as a dual citizen owns the rights to the active power at the state offices of the Government of Diamond's Imperium. Member state as a dual citizen loses the right to vote and the state represent the views of the state as an act of democracy, crucial as the National Movement. Member State as a dual citizen has the right to vote and to represent the state as a second opinion really social statistics, a fact determined by the decision on the outcome behalf of the government. Member state as a Dual citizen has the right to exploit their own full rights to the nature of the state of democracy in the event of a full-length five years of life on the territory of the state ID's, and without leaving the territorial zone in law connection to another state citizenship, while impunity related to his stay in the country. Every Dual citizen has the right to hold private property in the territory ID's states and territories, without having to conform to the civil law of another State. Dual citizenship ID's country and establishes a new integrity with its own integrity under the jurisdiction of the state. 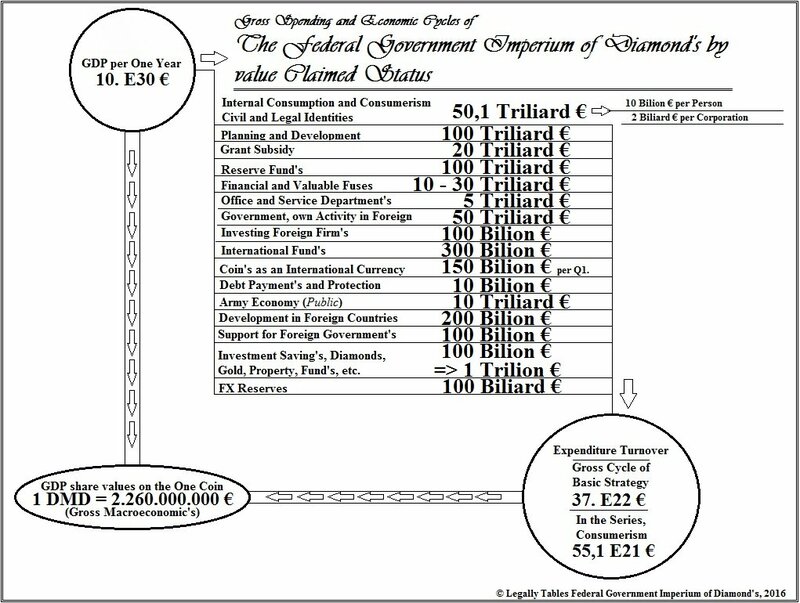 Member state as a dual citizen owns all rights equivalent trade as the citizens of the country Imperium of Diamonds. Member state as a Dual citizen immediately acquires an obligation to education courses and providing professional retraining in order to use trade rights and personal development at the legal level, but also to exploit the claim of financial subsidies in order to build their own business. Dual citizen has the right to use all the services of the state, as well as the obligations and principles of jurisdiction. Dual Citizen is equivalent rights as the citizens ID's government. Dual citizen on the territory of ID's government gains full obligation to respect the principles of state jurisdiction and its own ties to the rights of government. Dual citizen on the territory of a foreign state has the right to exploit their own citizenship ID's government, nepotism and legal union. Dual citizen on the territory of his second citizenship not by reference to the law of citizenship ID's government, and thus is legally use the legal relationship as a citizen of this state in foreign. Dual citizen is not allowed to enter the country Imperium of Diamonds, as a citizen of the other country. Dual citizen who enters the territory of the Imperium of Diamond's it automatically uses its legal relationship citizenship Imperium of Diamond's. Every Dual citizen must respect the rights that signify security strategy and verify the identity of each one coming or leaving the territory's government ID. Citizenship ID's country can always get someone who is recognized as safe and without risks to society and government. Citizenship ID's country can get always a person who is fluent in the state language, the language of federal, or is willing to learn the territory, as the applicant for citizenship, or possibly with positions in other legitimate forms of relationship. Anyone who is a refugee, displaced, demilitarized, endangered, migrant, immigrant, emmigrant, everyone owns all rights to apply for asylum and the recognition of waiting for citizenship. Everyone must be widely accepted, without any difference. An applicant for citizenship must be proven as a person without a criminal summons, and no criminal responsibility in another country. If the second citizenship of foreign state becomes in losse on validity, the survivor receives an automatic right to benefit from full citizenship Imperium of Diamonds, with trial about recognization of security. The applicant for dual citizenship can be recognized as a citizen in the Royal decision, implying special rights and privileges and entitlements as determined by the King of the government & countries. Every person on the scope of the human world, one that recognizes the rights of ideologies The One World so it has the immediate right to obtain their own citizenship Imperium of Diamonds, or reprezent. Every person on the scope of the human world as a member of the family of a person with a valid citizenship of Diamond's Imperium, or born here, so it has the immediate right to obtain their own citizenship Imperium of Diamonds. Every person on the scope of the human world, is genetically identical and the related nature of the main forces of the Imperium of Diamond's demographics, so it has the immediate right to obtain their own citizenship Imperium of Diamonds. Every person on the scope of the human world, a person with an active lifestyle and a social partnership in the Imperium of Diamond's fifth year, so it has the immediate right to obtain their own citizenship Imperium of Diamonds. Every person on the scope of the human world, a person with family code in Noble families, so it has the immediate right to obtain their own citizenship Imperium of Diamonds, and use special right's of Noblese Law. Every person on the scope of the human world, as believers in the same faith which is identical to the demographics of the state recognition of religion, so it has the immediate right to obtain their own citizenship Imperium of Diamonds. Every person on the scope of the human world as a permanent student on the territory of the Imperium of Diamonds, so it has the immediate right to obtain their own citizenship Imperium of Diamonds and subsequently the special environmental benefits of the state. Every person on the scope of the human world, as the applicant for business activities, or become a trader in the country Imperium of Diamond's so instantly acquires the right to citizenship of the Imperium of Diamonds. Every person on the scope of the human world as an active interest in performing official government Imperium of Diamond's so instantly acquires the right to citizenship of the Imperium of Diamonds. Active interest in performing official government Imperium of Diamond's also owns the rights to political immunity, diplomatic and other rights under the contracted law character. Every person on the scope of the human world as a force for citizenship statute Global Citizen, therefore, immediately acquires the right to citizenship of the Imperium of Diamonds. Every person on the scope of the human world, as applicable to the Statute of citizenship, common areas or common agreement of regional and International character, because immediately acquires the right to citizenship of the Imperium of Diamonds, but with claims by reference to the principles of the agreement, and also in published format right government Imperium of Diamonds. Every person on the scope of the human world, as active military service or applying for military service to the state and government of the Imperium of Diamonds, therefore, immediately acquires the right to citizenship of the Imperium of Diamonds. Every person on the scope of the human world, the one who does not hold any citizenship or his status is in the nature of not existed state and emigration needs medical care, thus gaining the right to acquire citizenship ID's government and also ask his personal transport in order to deport to their country Imperium of Diamonds, if such options will be made available. 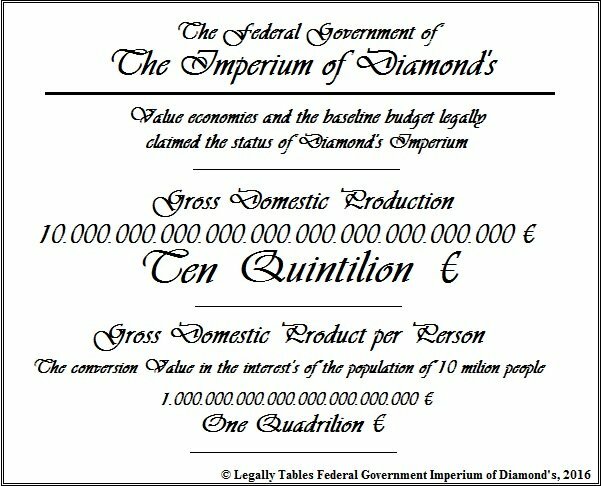 Every person on the scope of the human world, if claimed as a prisoner be the courts Imperium of Diamond's so instantly acquires the citizenship of Imperium Diamonds and asked the prison performance status. Claimed prisoner is not allowed to travel abroad, it is claimed that the prisoner on foreign soil is as extraterritorial entity that may not be supported in any way for gain freedom. Citizenship Statute of the foundations of the prisoners claimed not stop when the period of full application of the punishment. Claimed the prisoner as a citizen of the Imperium of Diamonds do not own any rights for their business development, freedom of movement, claim the state elections, media communication or contact with any public company. Any other civil rights are therefore stopped. Member ID's colony with its own origin from abroad, own the right to establish its dual or permanent citizenship, if the user colony demonstrate his interest continue to remain active in the territory of the Imperium of Diamonds with civil laws. A member of the colony's ID with dual citizenship must respect the principles and rights of activity colonies which may differ from state jurisdiction and therefore the colonial rule of the state as a substitute for the jurisdiction of the Imperium of Diamonds. Right of Dual citizenship statute Specialist, serves people living in the country Imperium of Diamond's or abroad, and to special missions in the country Imperium of Diamond's, and abroad, the mission to protect, collaboration security, humanitarian intervention, coercive practices, special communication, performance of special tasks in the interest of Imperium Diamonds government and diplomatic commitments. A person who is active on the territory of the Imperium of Diamonds, as a person from abroad, and therefore in the interest of international diplomatic relations in security policy, and to ensure their protection, so the person receives an automatic right Dual Citizenship as "Protection", meaning entitled to use the protective supervision and international security cooperation, as well as immunity for the purpose of stable security protection. Each member of the human world, owns all rights to the use of options to acquire citizenship of the country of Diamonds Imperium, and that for him such laws were a legal form distributed. Right civil claims resulting from the use of rights UNGA convention, together with the principles of the UN Charter. This creates a community at national character, internationally recognized as a "national movement". The only legal authority that is authorized to issue a certificate of recognition and Dual citizenship, is only government office Imperium of Diamonds, Ministry of Interior, Foreign Affairs and Justice, as well as a certified institution Imperium of Diamonds, for the right to issue citizenship and dual citizenship Imperium of Diamonds. Imperium of Diamond's citizenship expires only in the case of appeals force in agreement with the Minister of the Interior, and the applicant to stop the force of his citizenship. Stopping the rights of citizenship must be carried out responsibly in the interests of the principles of jurisdiction Imperium of Diamond's. Dual citizenship is based diplomats over the format of its own consolidation of civil rights by further diplomatic agreements. International Advocacy Intelligence Council, each member of the authority's own full rights to acquire its own statute of citizenship Imperium of Diamond's. If a member IAIC, because of the principles of law of their country of current citizenship does not allow benefit, steps to gain citizenship ID's in accordance with International law, or it is not possible because the current strategy of the person exercising IAIC office, then the officer's own right to ask for Extraterritorial VISA which options used to provide the ability to enter into official functions IAIC, under the law of the jurisdiction of the Imperium of Diamonds. Development of New Civilization in The New Space and Dimension of Universe, 100 Civilizational Planet's for every Mico-state or state in The ID's Federation. The Stellar Cities, form of the 100 planet's around One single Star ! One Hundred planetary civilization's in function as an One Single City ! You can Start Business ?? Yes ! Everythink for You !